When my band mates came up to me saying I had to learn cajon in order for us to play our sets “unplugged”, I resisted. I didn’t want to change from sitting behind my shiny, big drum set to squatting on a small wooden box which has now become famous under the name “cajon”. But when I finally agreed to give it a try, I had an epiphany. This wooden precussion instrument of a cajon produced sounds that were stunningly good and surprisingly versatile. And our audiences though so too: after the first few concerts they were craving for more and more unplugged sets. So now I’m a cajon fan, and apparently you’re too (or you’ll get there pretty quickly I think). But what actually is the best cajon? What makes one of those wooden boxes different from others? 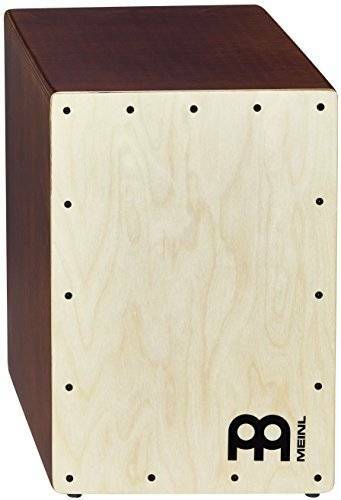 What is the best cajon for beginners, for acoustic rock, for worship or overall? You’ll get all these questions answered here – along with a bonus tip on tuning (the crucial last step when buying a cajon). Note that there will be quite a few Meinl products in here. But that’s not, because I’m affiliate to this brand, but because their cajons are so very good. The Meinl Jam Cajon is a good bit smaller than all others in this best cajon review. This makes it perfect for drummers (to be) under 6”. It’s also good if you’re just starting out with cajons and want to test the waters. 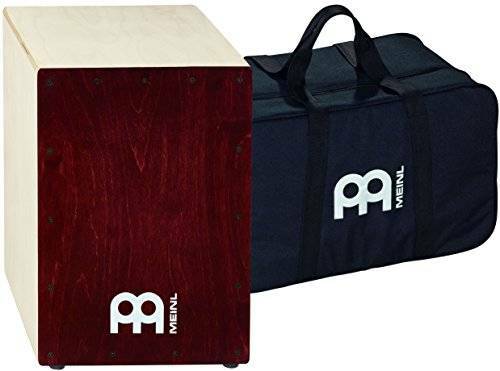 You won’t get a cheaper cajon that performs as well as the Meinl Jam Cajon. Equipped with 2 sets of internal fixed snare wires inside the sound hole at the back – these emulate the sound of a snare drum. 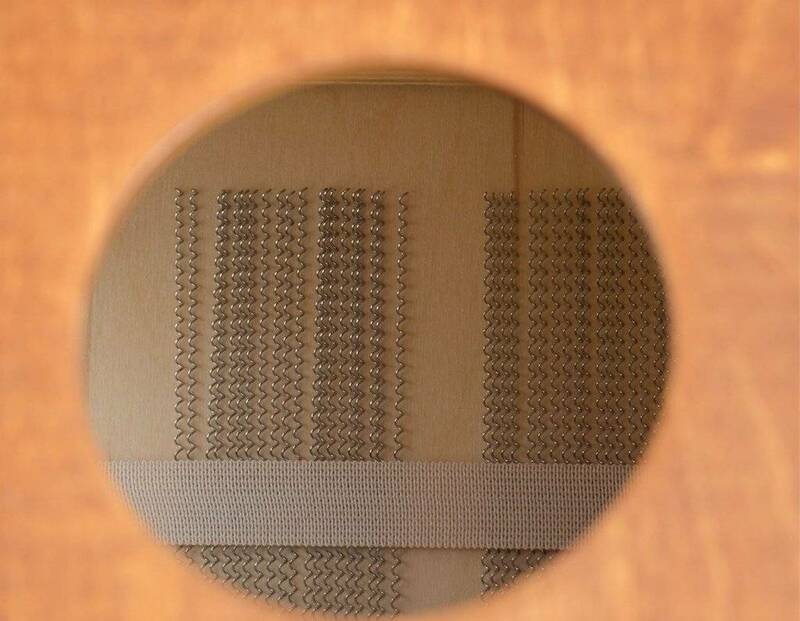 A hole at the back of the cajon into which you / a sound technician can insert a microphone for gigs or recording. Variable tone: change the place you hit the Meinl Jam Cajon slightly, and you’ll get a slightly different tone. This makes it sound natural and could easily be lot out on with a cajon as small as this. Small and lightweight. So this cajon is really easy to carry around. This is why it’s called a “Jam Cajon”. You might want to get a bag to avoid carrying damages though. Because of the size, the bass tone can’t be tuned as low and boomy as you might want it to be – especially for acoustic rock. For taller people it can become uncomfortable to play this cajon. You’d have to do some deep squatting and eventually your back might get angry at you. It happened to me and I’m 5’9”. I think the Meinl Jam Cajon is the real deal for beginners and kids. Very decent sound quality at a superb price. 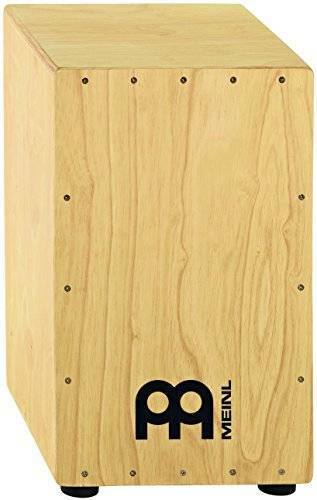 I wouldn’t buy it again, because my back isn’t as strong as it should be and I feel the Meinl Jam Cajon is just a tiny bit too short for me to play it comfortably. But I recommend this cajon to anyone around / below 5’7”. And to taller people with solid backs. This is my pendant to the Meinl Jam cajon above. The Meinl Headliner cajon too provides good sound and durability for very little money. But other than the “Jam” model, this will be gentler on your back if you’re taller than 5’7”. Body made from rubber wood. That’s a tropical hardwood (called “Siam Oak”) with more midrange and warm low-end frequencies than birch or maple (that’s what the other cajons in this review are made of). 2 adjustable snare strings inside. Contrary to the sets of snare wires, the Meinl Headliner has two strings that span the whole frontplate on its inside. They too produce the snare buzz but can be adjusted via the wrench that’s included. 11 3/4″ wide x 18” tall x 12″ deep. So it’s 3” taller than the Meinl Jam cajon above, making it suitable for taller drummers. You determine the buzz of this cajon. Simply use the included wrench to tighten or loosen the wires inside and you’ll have more or less of a snare sizzle. Being made of rubber (oak) wood, the Meinl Headliner can be louder and has more projection than most birch and maple cajons. Decent snare and bass sounds. Once you get the tuning right (see section at the end), the Headliner cajon will give you nice and distinct snare and bass tones. I found that removing the top left and right screws entirely added a very nice slap (produced by hitting on the very edge) to the mix. Harder to tune well than other cajons. While the other cajons here will have a better sound out of the box, you’ll need to tweak the Meinl Headliner first. That’s inconvenient, but it’s because the snare wires are adjustable. On the upside, this gives you a lot of room to tune this cajon to a sound of exactly your liking. I haven’t been able to remove the buzzing (produced by the wires) from the bass tone entirely. If you don’t like this: the Latin Percussion (below) does better. No bag included. Actually most cajons come without one, but I’m lisiting it here because it would be smart to get one in order to avoid scratches. My best budget bag by Meinl is over here. If you want a cajon that sounds decent right out of the box, the Meinl Headliner won’t be your best choice. But if you know how to tune this thing, you can achieve a wide variety of good sounds with the Meinl Headliner. I still listed it as my best cajon for beginners, because I think it’s vital for a cajon player to know how to tune his / her instrument. The Meinl Headliner will force you to. And it won’t disappoint you once you got it right. The Meinl Cafe Cajon is actually good for a lot of drummers. For those playing acoustic rock or those just starting out on but most of my students love to use this cajon in worship bands. At times there is a little bit too much buzzing from the snare wires going on – even if your hitting the bass area at the bottom. If you’re playing songs that depend on very little to no snare sounds this might not be the best choice for you. But my students almost always do want to have a good snap in their worship songs, so worship drummers love this cajon. Especially because it fits their budget so well. The Latin Percussion Americana Groove cajon is applicable to a wide variety of musical styles (folk, country, rock, blues). In terms of band setting, I’ve seen it in use a lot by percussionists playing with singer/songwriters. Baltic birch wood all around. I find this to be the best wood for a cajon as it procudes more overtones than maple (good for jazz, blues, higher-pitched rock / pop). 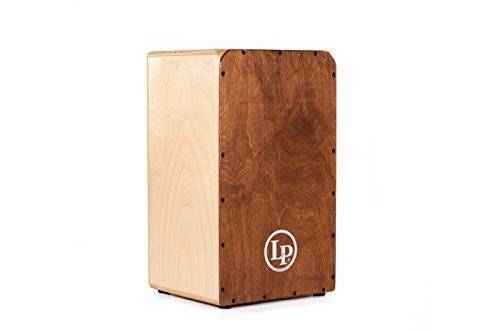 With its darkish birch frontplate, the LP Americana Groove cajon looks great and not just like any other cajon. And don’t understimate this. Audiences will judge you by how you and your equipment look more than by how well you play. 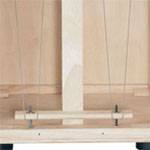 The adjustable front plate allows you to simply tighten or loosen the screws to increase or decrease what cajon players call the “percussive timbre”. This means that, depending on whether you tighten or loosen the screws, your cajon sound will become more buzzy or snappy. Gentle on your back: You don’t have to hit very low on the belly for a good bass tone, so you don’t have to adopt an unhealthy posture for dozens of times each song. Your back will thank you – and your band mates too. This cajon can’t do very loud volumes by itself. In order to use it for somewhat harder acoustic rock, you’d need to set it up with a microphone. No bag included. Actually most cajons come without one, but I’m lisiting it here because it would be smart to get one in order to avoid scratches. My best budget bag is this (by Meinl). The best bag by Latin Percussion has more features but also a bigger price tag is not available any more. There isn’t much to complain about with the Latin Percussion Americana Groove Cajon. The fact that it needs a microphone for louder venues is absolutely okay for me, because each venue I play is mic’ed up anyhow. And because I mostly play acoustic pop / rock, I don’t need off-snare sounds. And the upside of the LP Americana Groove’s price is the superb sound quality. This is not only my best cajon under $200, but my favorite cajon overall! So I’ve shown you what I think are the best cajons on the market. And I stand by that. But at the same time they won’t be if you don’t know how to tune them. For there’s no perfect sound of the box with any drum gear ever. But not to fear: tuning isn’t difficult and you can learn it in about 15 minutes. The basic thing to understand is that by adjusting the snare wires, you’ll change the snare-like buzz. And by adjusting the frontplate through the screws you’ll change the various tones of the cajon. Simply sit on top of it, the front plate between your legs and start stroking the cajon towards the top (where the screws are) with the inside of you palms. This should give you a snare sound (buzzy or snappy, depending on how you tightened the screws) while moving your palm downwards and hitting the front plate at a lower point will give you more of a bass drum-like sound. If you’re back starts aching after a while (happens to me), tilt the cajon backwards a bit and you should be fine. And this is really all there is to becoming familiar with how a cajon feels and sounds. Of course, this doesn’t enable you to play rhythms of course, but I’d suggest spending at least a few minutes familiarizing yourself with your cajon like this, before jumping into the ocean of YouTube videos showing you how to play grooves and rhythms. A good (and free) place to start with this are Heidi Joubert’s video lessons. So there you have my take on the best cajons out there. And now it’s up to you. Do you have any questions left? Can you comment on one of those cajons? Do you have an experience to share? Let me know in the comments. I reply 100% of the time!